Ah Chlorophyte, one of the best ores in the game. But it’s hard to obtain! 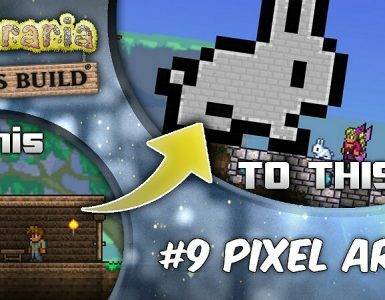 In this guide we will cover how to farm it easily and in the safety of a shelter! 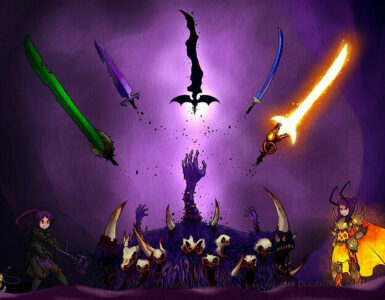 Hello and welcome to my guide. 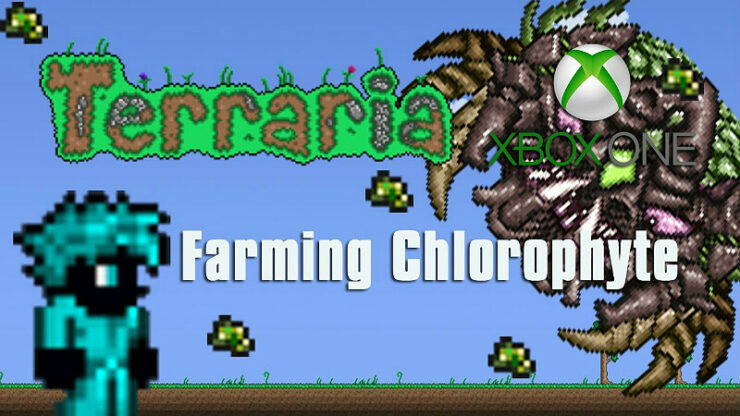 We will be covering what Chlophyte is and how to farm it! 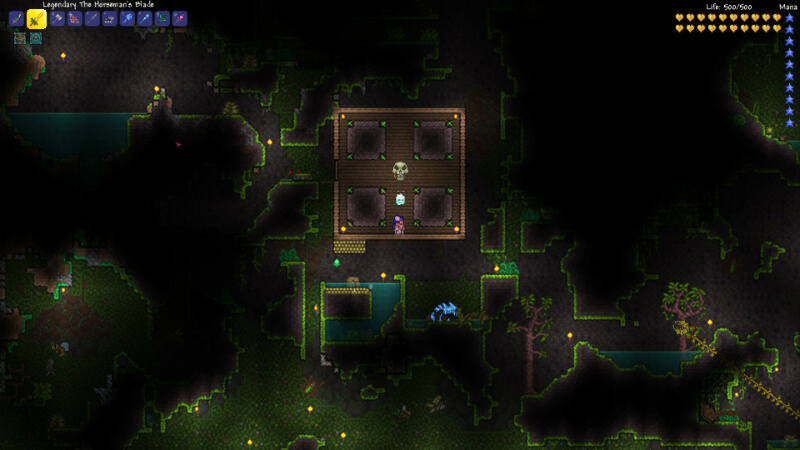 Chlorophyte is a hardmode ore that spawns in the underground jungle, at the rock and dirt layer. 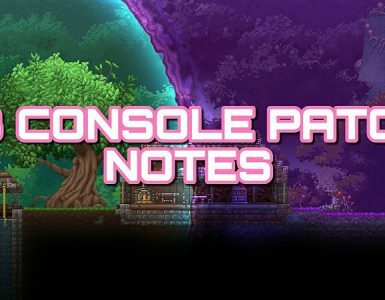 It’s an end game ore that behaves different than other ores in Terraria. 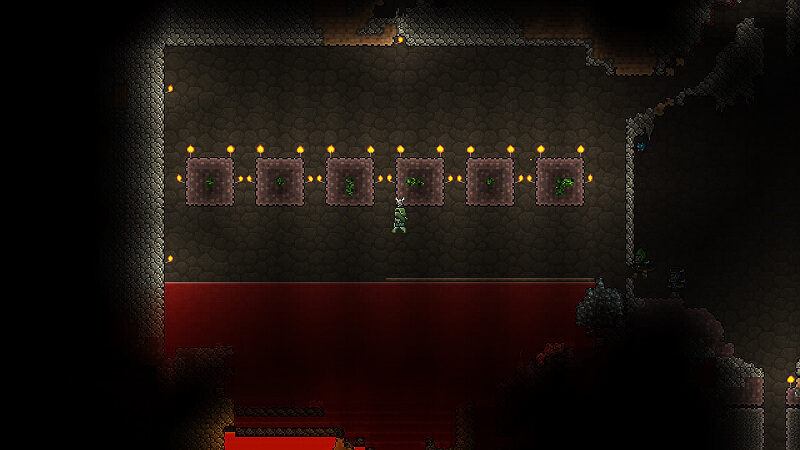 This ore spreads or grows to nearby mud blocks. 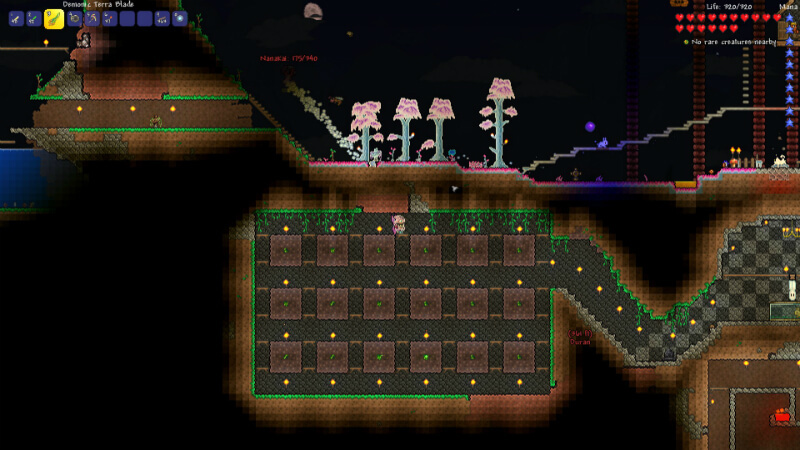 This makes farming the ore quite a good idea. That’s why farming makes it a need. In order to (naturally) grow, there has to be mud blocks and jungle grass in the vicinity. 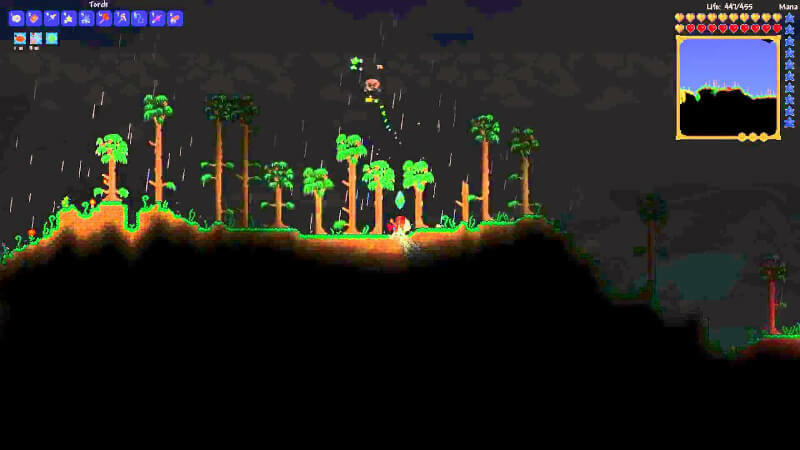 A block of jungle grass has a small chance of spawning Chlorophyte nearby. Chlorophyte Ore will not grow or spawn if there are more than 25 Chlorophyte blocks around 30 tiles (blocks), or if there is more than 150 within 80 tiles. Given it’s nature to naturally grow, Chlorophyte is a great farming ore.
To effectively farm it place a 5×5 mud block in the area you want to farm. Remove the middle block of mud and place Chlorophyte Ore right there. You need to make these “chunks” 30 blocks aside from others. This will give the ore a 92.5% conversion rate. Chlorophyte will slowly start to grow if the farm is on the underground layer. In order to achieve this, but with less space taken, place 3×3 blocks of mud (again with ore in the middle) spaced 15 blocks away of other 3×3 blocks, will still give a 92.5% conversion rate. Make sure there are no other Chlorophyte ores nearby (natural ones) otherwise it’s likely you will have a less conversion rate. I hope you understanded everything and made a great farm out of this! If not, feedback is good to have, and comment if you need further help, or even find mistakes in this guide!